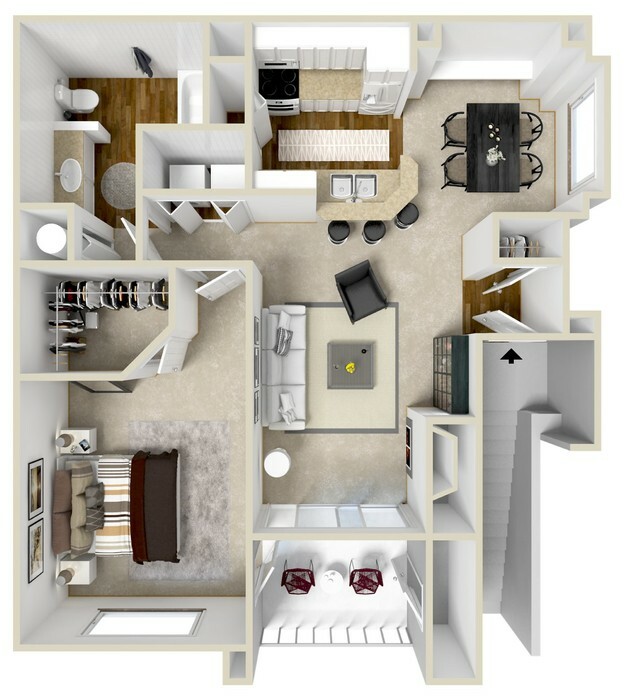 Explore the floor plans at Jackson School Village to find your next home in Hillsboro, Oregon. 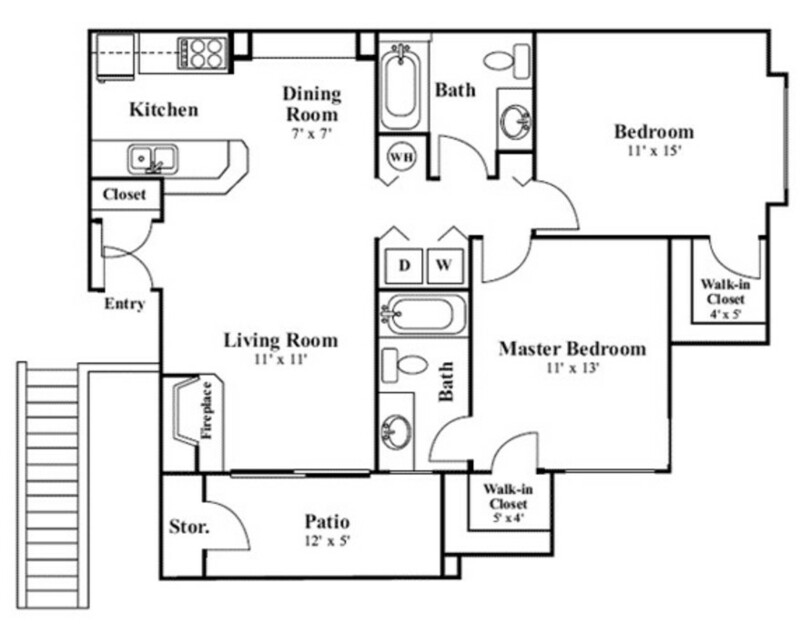 Open your front door to 745 square feet of space when you rent a one bedroom apartment at Jackson School Village. 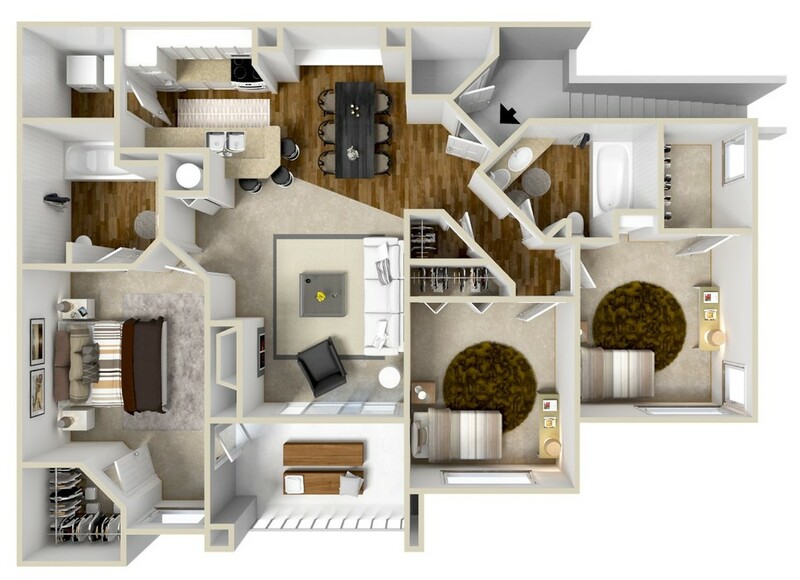 This floor plan comes complete with a fireplace in the living room, a breakfast bar in the kitchen and a walk-in closet in the bedroom. 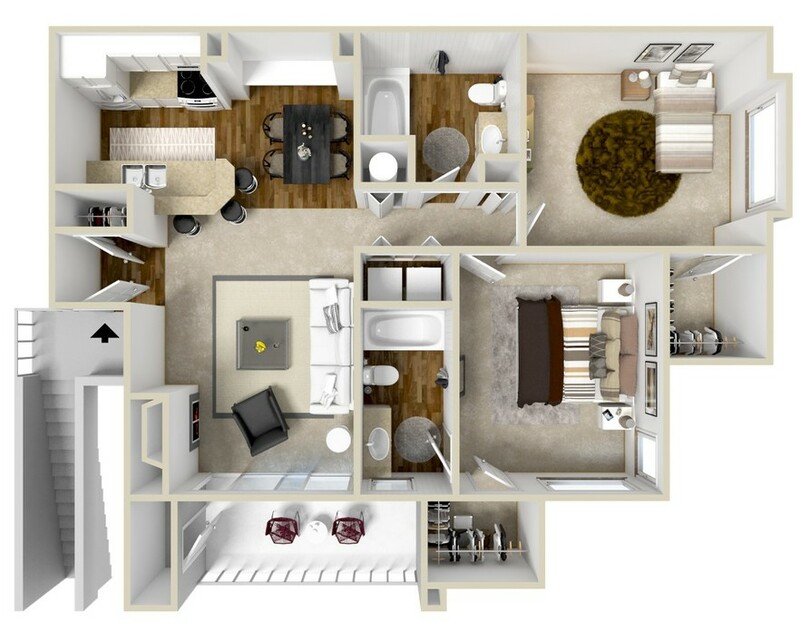 With a coat closet near the entry, a storage closet on the patio or balcony and a laundry closet with an in-home washer and dryer set, you’ll have ample space to store your belongings. 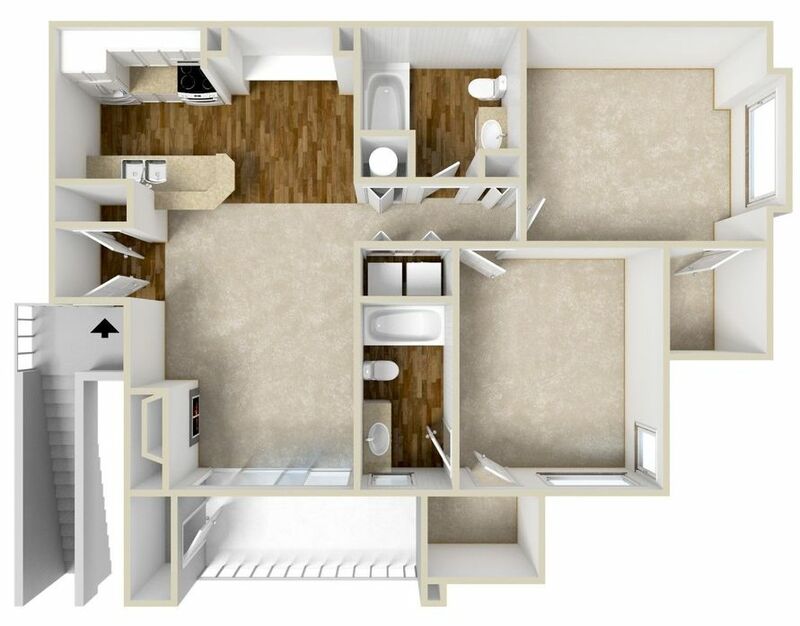 At 960 square feet, the two bedroom apartments have similar features to the one bedroom models. 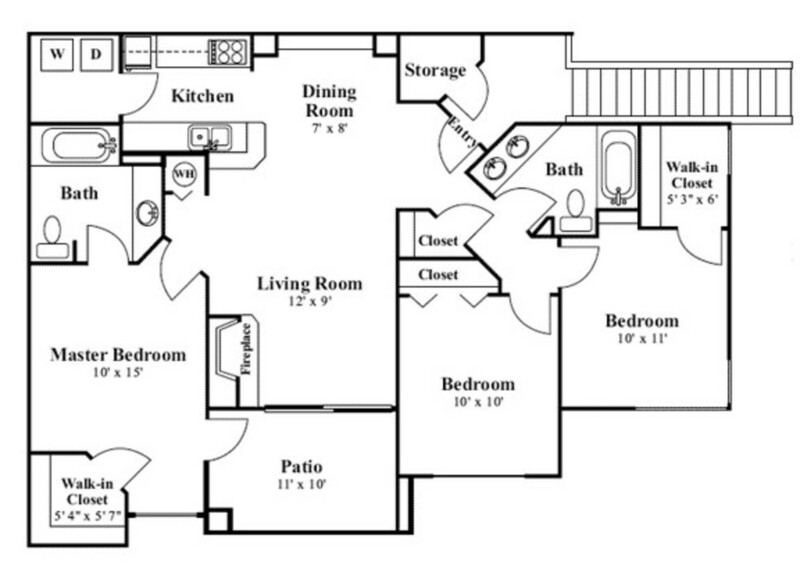 Each bedroom has a walk-in closet, but the master bedroom has the benefit of a private en-suite bathroom. You can sip your coffee at the breakfast bar, eat formal meals in the dining room, eat popcorn in front of your living room fireplace or enjoy a snack on the patio. 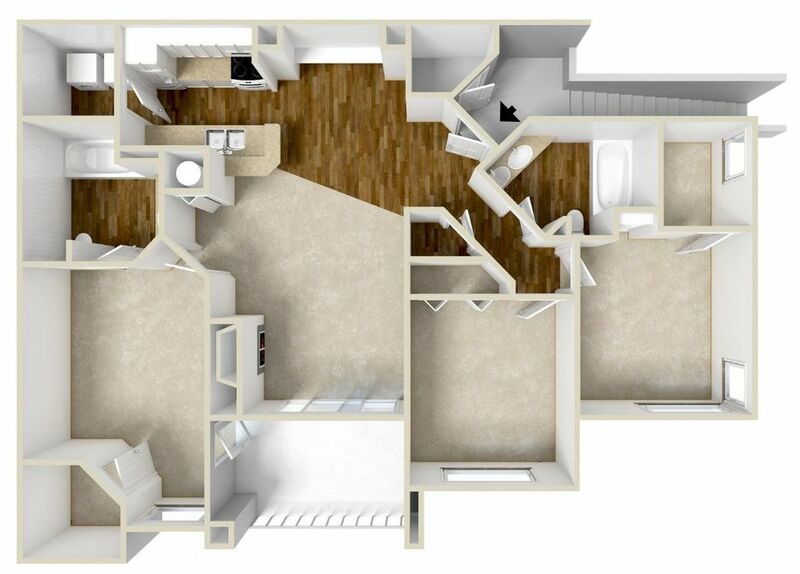 The entry to the three bathroom model opens to a spacious living area. The living room, in turn, opens to the dining room, which then opens to the kitchen. 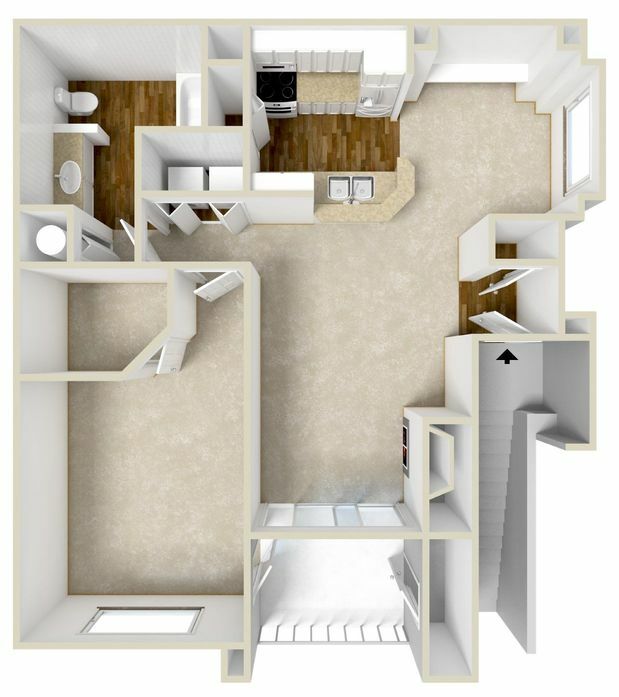 At the back of the kitchen, a laundry room with washer and dryer is conveniently placed. 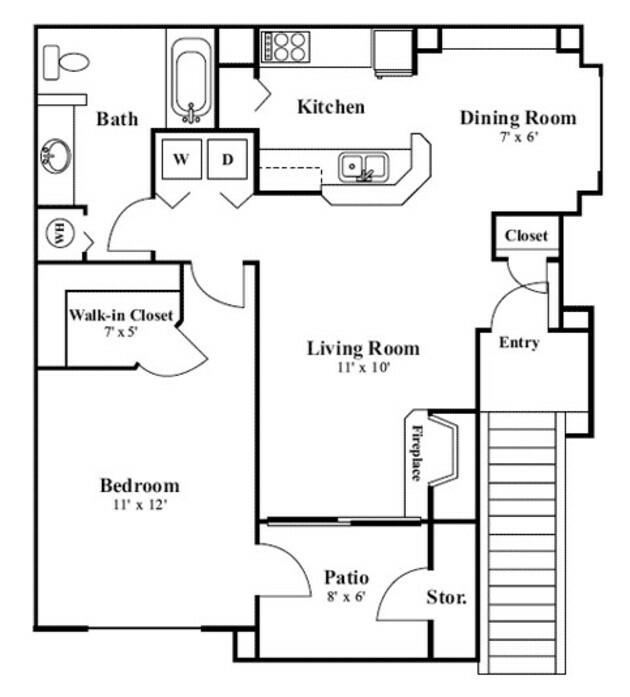 The master bedroom has an en-suite bathroom for privacy, a walk-in closet and access to the patio or balcony. Each of the other bedrooms maintains easy access to the second bathroom as well. Schedule a tour of these Hillsboro, OR homes now.